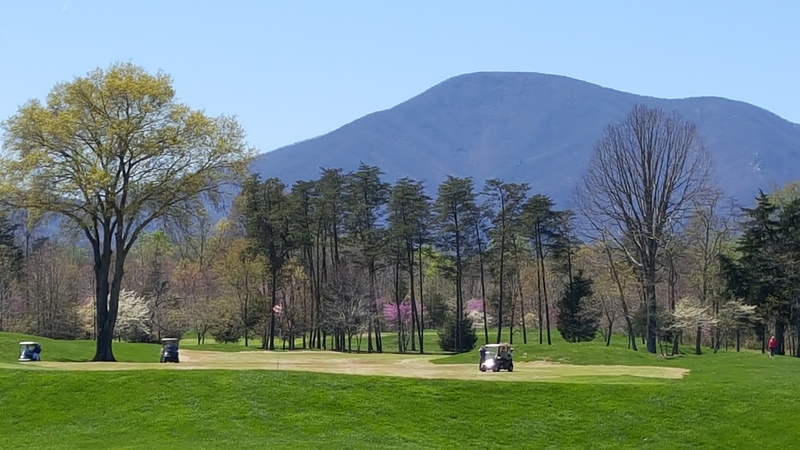 The Blue Ridge Mountains create a dramatic backdrop for any round at the Stoney Creek course. WINTERGREEN, Virginia – Let there be no mistake about it. Located in the Blue Ridge Mountains, Wintergreen Resort is a destination for skiers – but it’s also quite a bit more than that. 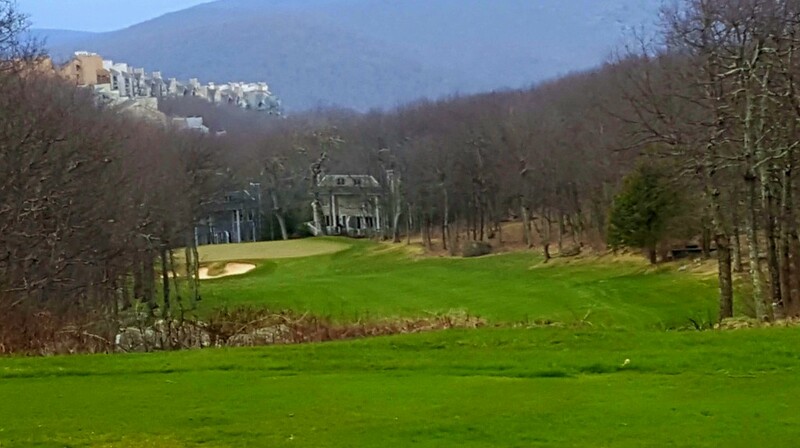 Wintergreen also has 45 holes of golf available and, while it’s not unusual for resorts to have both ski slopes and golf courses, this one is notably different. It’s possible to enjoy both sports on the same day during the winter months at Wintergreen. And another thing sets this place apart. Frequently at places where both golf and skiing are offered one gets the edge over the other in terms of facilities. That’s not the case here. Wintergreen has 24 ski trails and is probably better known for that sport, but the golf is just fine, too. This is how things fit together. The crew at the older of Wintergreen’s two courses, Devils Knob, begins the transition from golfers to skiers in early fall. Golf play ends in late October so that the ski slopes can be ready in time for a hoped for opening on Thanksgiving weekend. After the ski season ends, usually in mid-March but sometimes later, Devils Knob is given a later spring opening date than most courses. It’ll open for play on April 16 this year, though it was probably playable a few weeks before that. 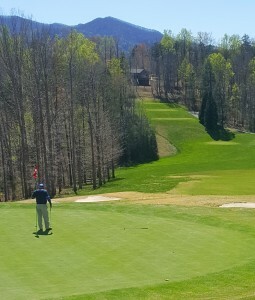 Skiers never touch the course but the climate is different than it is down below, where Wintergreen’s other golf facility – 27-hole Stoney Creek – is located. The opening hole at Devils Knobs is one of many at Wintergreen with an elevated tee shot. They’re about nine miles apart, but Stoney Creek remains open all year long – though occasional snowfalls admittedly preclude play at various times in the winter months. Fred Biggers is superintendent for both golf facilities but isn’t involved with the ski slopes. His winter duties, though, include helping out with snow removal. I’m no fan of driving on the steep, winding roads in the Wintergreen area, but getting from Devils Knob to Stoney Creek isn’t much of a problem and the courses are comparable in terms of terrain and the challenges offered. Though Stoney Creek is on much lower land, its elevation changes aren’t much different than the stunning ones that would be expected on the higher, more mountainous terrain of Devils Knob. Biggers, a 6-handicapper, believes that Devils Knob is a bit more challenging but that doesn’t appear to be a universally held opinion. At an elevation of 3,851 feet at its No. 15 tee, Devils Knob is the highest course in Virginia. Temperatures there are generally 12-18 degrees cooler than they are at Stoney Creek. A milestone 40th anniversary for Devil’s Knob is closing in; it opened in June of 1977 so it’s 11 years older than Stoney Creek. Devil’s Knob also has a big edge on Stoney Creek as far as historical interest goes. 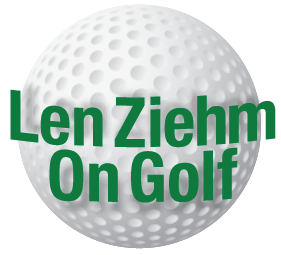 It’s the first of 17 course co-designed by the father-son team of Ellis and Dan Maples. Looking back from the green reflects how demanding Stoney Creek’s second hole is. The Maples clan is legendary in golf circles, especially in their native North Carolina. Five generations of Maples have been involved in golf, with two others being head professionals and two more working as superintendents. Ellis, who died at age 73 in 1984, and Dan are both in the Carolinas Golf Hall of Fame. Dan started his own design firm after his father’s death and his portfolio of courses is now approaching 50. As for Devils Knob, Ellis — who was also an outstanding player — and Dan set foot on 1,000 acres of thickly wooded hillsides after landing what was then a prize assignment. In the mid-seventies a golf course designer generally received about $3,000 per course. Devils Knob was a $50,000 project for the Maples. “It was unusual because the land was so high and rocky,’’ said Biggers, who doubts that the course could be built today because of probable environmentalists’ concerns. 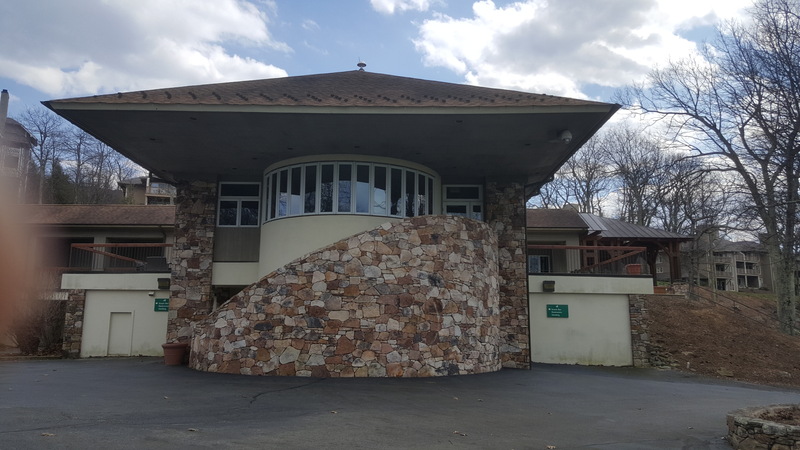 But it was built in the mid-seventies at roughly the same time the ski slopes were created and the first resort and lodging facilities went up. Ellis routed the first nine holes and Dan did the second. Now Devils Knob limits play to members and resort guests. As Wintergreen grew in popularity the second course, Stoney Creek, was deemed a necessity. It consisted of what is now the Monocan and Shamokin nines. A third nine, Tuckahoe, was added in 1990 just before Biggers arrived as superintendent. In addition to the stunning elevation changes offered at Devils Knob, these courses have a babbling brook running through the property. Lindsay Dorrier gave us an interesting tutorial on how the Bold Rock Cidery operates. All three nines were designed by Rees Jones, best known for all the work he has done getting courses tweaked to host U.S. Opens. Players don’t need to be staying at the resort to play it. 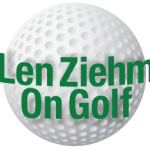 Both golf facilities are fun, and so is the journey between them. Wintergreen has its own added attractions, most notably the Copper Mine Bistro at the Mountain Inn, the resort headquarters. Take the drive down from there to Stoney Creek and you come across some other adventures. 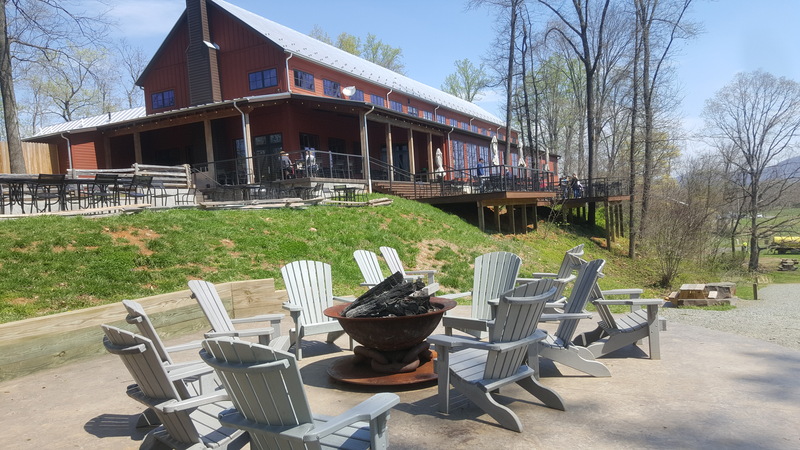 Devils Backbone Brewery is an interesting place, a restaurant in a spacious setting that allows for outdoor socializing as well. And a little further down the road is the Bold Rock Cidery. Its appearance is similar to Devils Backbone but the beverages of choice are built around apples. This place has both an interesting history and a promising future. 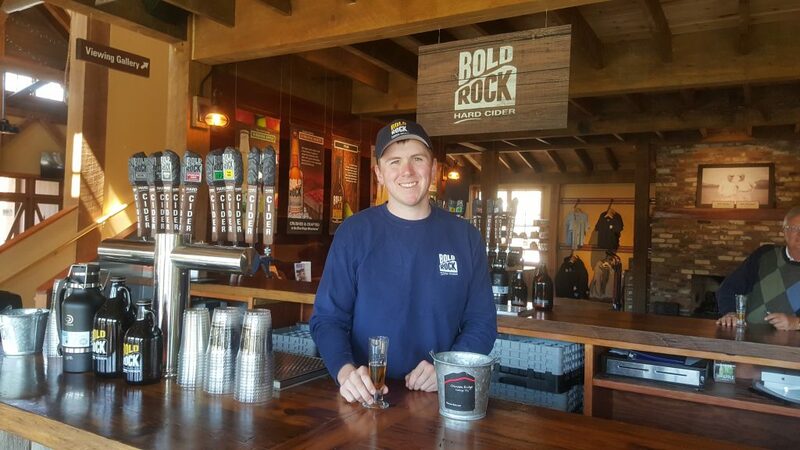 The Bold Rock Cidery has the facilities to offer a good time both indoors and outdoors. John Washburn, a Virginia resident, purchased the eight acres on which Bold Rock sits 30 years ago. He didn’t do much with it until 2012, however. Then, rather than go the traditional routs of building a brewery or winery, he joined forces with Brian Shanks, a New Zealander, to create a company that produces hard cider. Bold Rock now has four sites, and this one is the flagship. Lindsay Dorrier, a University of Illinois grad who is Bold Rock’s director of retail operations, says the alcohol content in the ciders ranges from 4.7 percent (similar to a lite beer) to 6 percent (similar to a craft beer) to 6.9 percent (which approaches the wine level). A broad range of Virginia apples are used in the manufacturing process and the cider is offered in 12-once bottles that resemble beer bottles as well as various sizes of growlers. This isn’t just a place to buy cider, though. Bold Rock is housed in a big wood-frame barn and caters to a lunch crowd with its gourmet sandwiches and appetizers. It also has a big backyard that encompasses the Bold Rockfish River. Kids can play there while adults can sit around a fire pit or try their hand at corn-hole boards. All in all, it’s a very pleasant atmosphere, whether golf is part of the day or not. 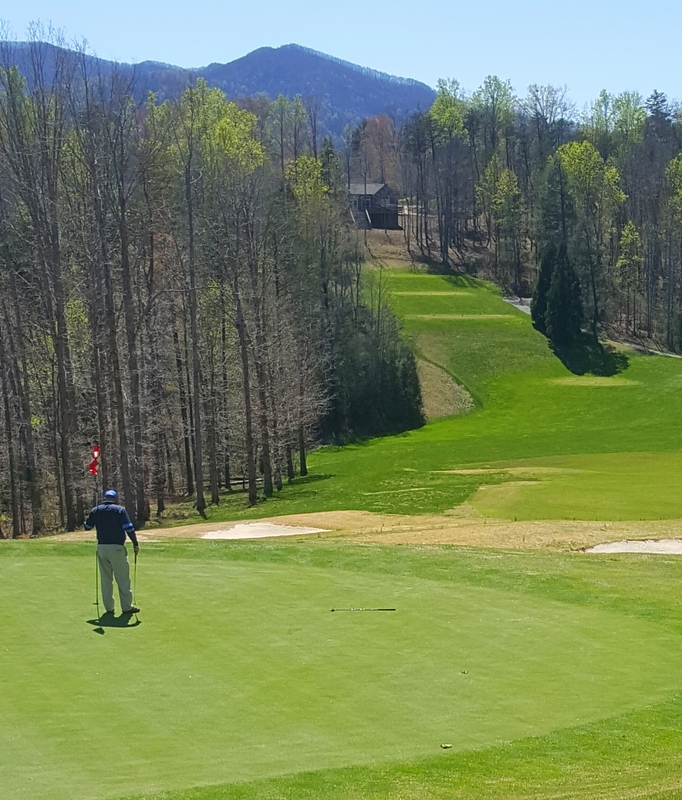 As for the golf, Wintergreen just announced new spring Stay & Play packages that start at $79 (double occupancy) or $109 (single occupancy). Check the resort website for more information. The Devils Knob course is interesting and the clubhouse has a unique look as well.